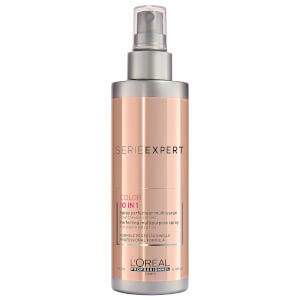 A 10-in-1 Perfecting Multi-Purpose Spray from L'Oréal Professionnel, developed for all colour-treated hair types. 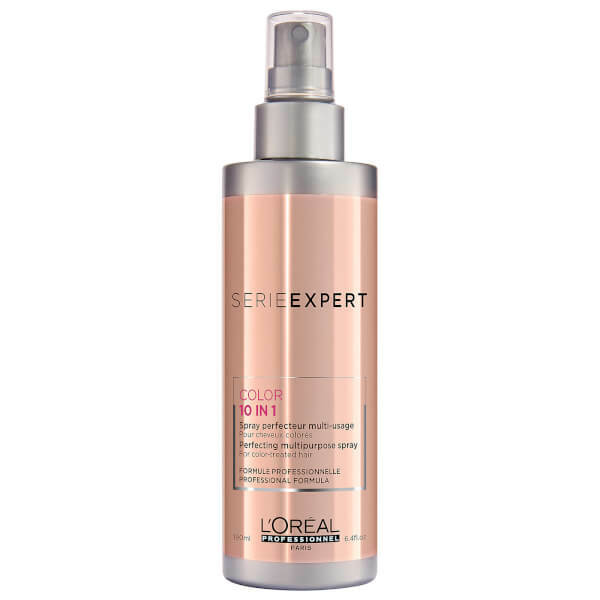 The non-greasy, versatile spray delivers ten instant benefits to improve the hair's texture and appearance so you can achieve salon style results at home. Can be used as a cutting lotion or to detangle hair before colouring, to protect colour and condition locks, or before blow drying to prevent breakage and split ends. Enriched with fennel seed extract, xylose and a naturally-derived oil blend to effectively control frizz and leave locks calm and manageable, the refreshing mist delivers a smooth, soft and shiny finish. 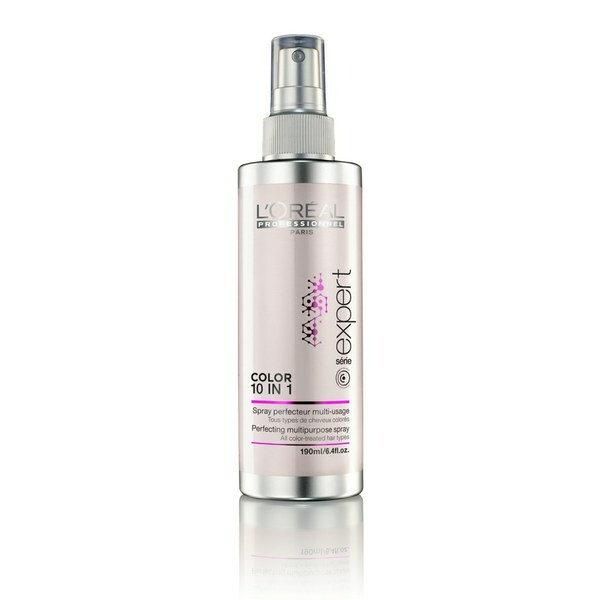 Spray on cleansed, towel-dried or dry hair. Style, do not rinse.